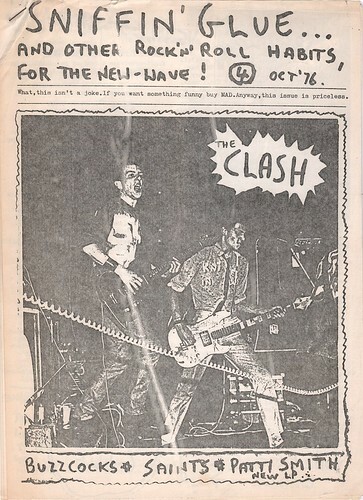 In advance of an appearance at London’s ICA (which, in the event, didn’t happen), a conversation with Mark Smith, musician (The Fall) and founder of the legendary punk fanzine Sniffin’ Glue— which quickly became a vital outlet for punk in the 70s. 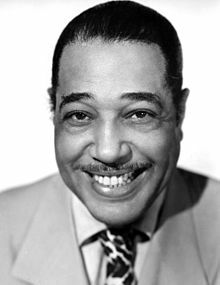 As we we give ourselves over to Submission, we might spare a thought for Edward Kennedy “Duke” Ellington; he died on this date in 1974. A composer, pianist, and bandleader, Ellington is generally credited with elevating the perception of jazz to an art form on a par with other more traditional musical genres. In a career that spanned 60 years (he wrote his first song,”Poodle Dog Rag,” in 1914, at the age of 15 while working as a soda jerk in the Poodle Dog Cafe in Washington, D.C.), Ellington wrote more than one thousand compositions– the largest recorded personal jazz legacy– many, many of which become standards (“Mood Indigo,” “It Don’t Mean A Thing [If You Ain’t Got That Swing],” “Take the A Train,” and many, many others). As a performer, his career spanned continents, and ran from The Cotton Club to Carnegie Hall. As a recording artist he sold millions of records and won 12 Grammy Awards, plus the Grammy for Lifetime Achievement and membership in the Grammy Hall of Fame (among many other Hall of Fame memberships and musical laurels). He won the Presidential Medal of Freedom in 1969, was awarded a posthumous Pulitzer Prize in 1999. And, as regular readers may recall, he had something to teach us all about the fine art of eating.